Grapes : melon de bourgogne, folle blanche (gros plant), gamay, abouriou, côt, cabernet. In the heart of the appellation Muscadet Sevre et Maine, at le Fay d’Homme near Monnières, the Caillé family have been winegrowers for 5 generations. 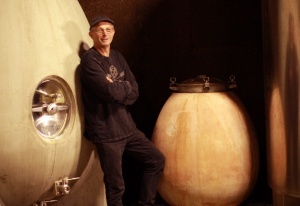 Vincent Caillé, who took over the family vineyard in 1986, is part of a new generation of wine-growers who decided to pursue a policy of uncompromising quality. With the stubbornness of passion, he produces Muscadet Sevre et Maine of high expression. On different type of soils (gneiss, gabbro and orthogneiss), he works the land with tillage or natural grass. Grown « organically » since 1996, the vines blossom on living soils that have recovered their wild tulips, a protected species affected for a long time by chemical treatments in the region. 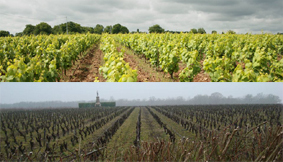 Vincent Caillé is one of the few winegrowers from Nantes who produce « organic » Muscadet, a true priesthood due to the oceanic climate and the propensity of Melon to welcome mildew. In the cellar, he vinifies his wines in the traditional way with indigenous yeast and long aging on lees. His wines, with angelic prices, are of remarkable density and sensitivity that restore the image of a resurgent appellation.